Hasui Kawase – The Chazen Museum of Art 1980.770. 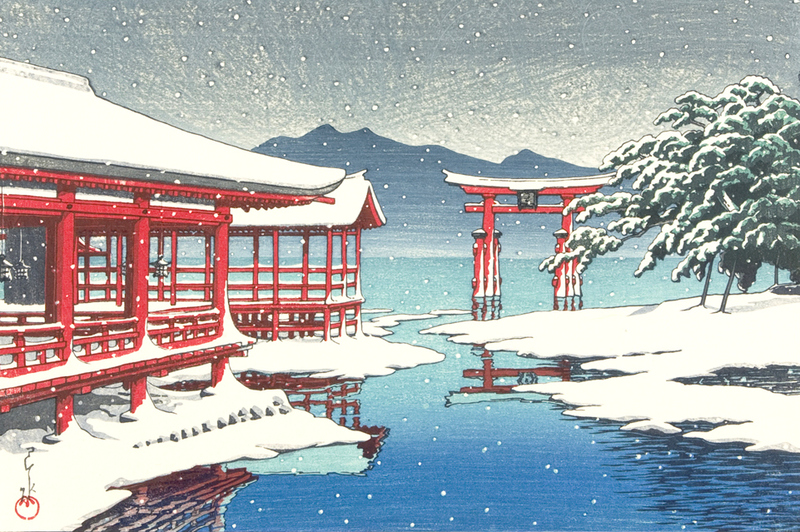 Title: The Miyajima Shrine in Snow. Date: c. 1935. Materials: woodblock print. Dimensions: 24.3 x 36.5 cm. Nr. : 1980.770. Source: http://embarkkiosk.chazen.wisc.edu/Obj4823?sid=4126&x=3017763. I have changed the light and contrast of the original photo.